Kristoffer Scola sent the following video with the message, "Check out this unbelievable story! If it didn't happen to me I would have never believed it. Thank KidneyBuzz for all of your help... Whether you know it or not." Mr. Scola shared a story of tragedy, triumph, unlikely connections, and unmeasurable generosity. 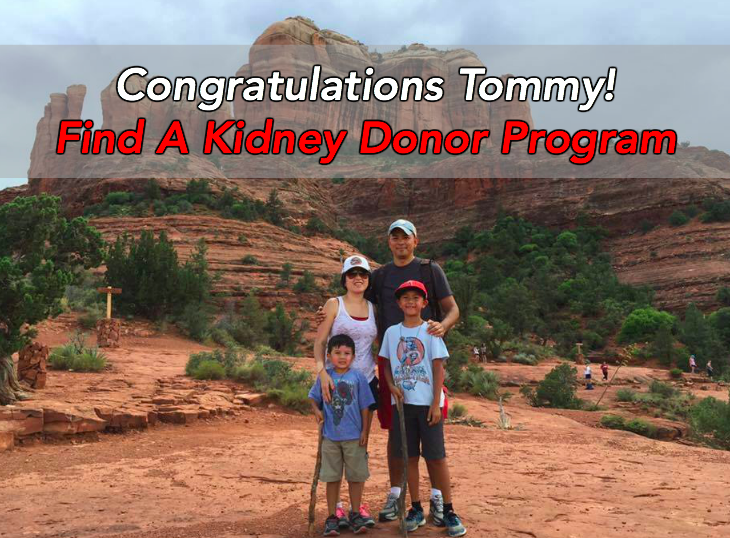 His story is a testimony to the fact that no patient knows exactly where their lifesaving Kidney Donor will come from, but by doing everything possible to receive a Kidney Transplant, you greatly improve the odds of finding your match. Kristoffer Scola sent the following video with the message, "Check out this unbelievable story! If it didn't happen to me I would have never believed it. Thank KidneyBuzz for all of your help... Whether you know it or not." Mr. Scola shared a story of tragedy, triumph, unlikely connections, and unmeasurable generosity. His story is a testimony to the fact that no patient knows exactly where his/her lifesaving Kidney Donor will come from, but by doing everything possible to receive a Kidney Transplant, it greatly improve the odds of finding a successful match. Kristoffer, received his match from a newly found cousin who took her own life. While sad, in her passing, Kristoffer's cousin was able to save and improve the lives of many others. However, had Mr. Scola not told his recently discovered family of his need and desire for a Kidney Transplant, he may not have received the gift of his new kidney. 1.) Tell as many family members and friends as possible about their need for a Kidney Donor. 2.) Begin a Find A Kidney Donor Program to meet a wider audience of possible altruistic (selfless) Living Kidney Donors. Click here to join. 3.) Wear the Find A Kidney Transplant Bands whenever leaving the house to generate conversation with others about Kidney Donation and them being tested as a possible match. Get yours here. 4.) Send an email blast to family, friends, and associates about Kidney Failure and what it would mean to have a Kidney Transplant. 5.) Place a sign in the front yard providing the information a good samaritan would need to get tested on your behalf. How have you shared your need for a Living Kidney Donor? Click here to share your answer at the KidneyBuzz.com Facebook Fan Page (over 65,000 Friends). Also, Like KidneyBuzz.com while you are there, and consider following the over 200,000 monthly visitors to KidneyBuzz.com for your Number One (#1) source of Daily News, Information, Impact Meals, Inspirational Quotes, and tailored Products and Services which teach Chronic Kidney Disease, Dialysis, Diabetes and High Blood Pressure patients how to better manage and improve their lives.